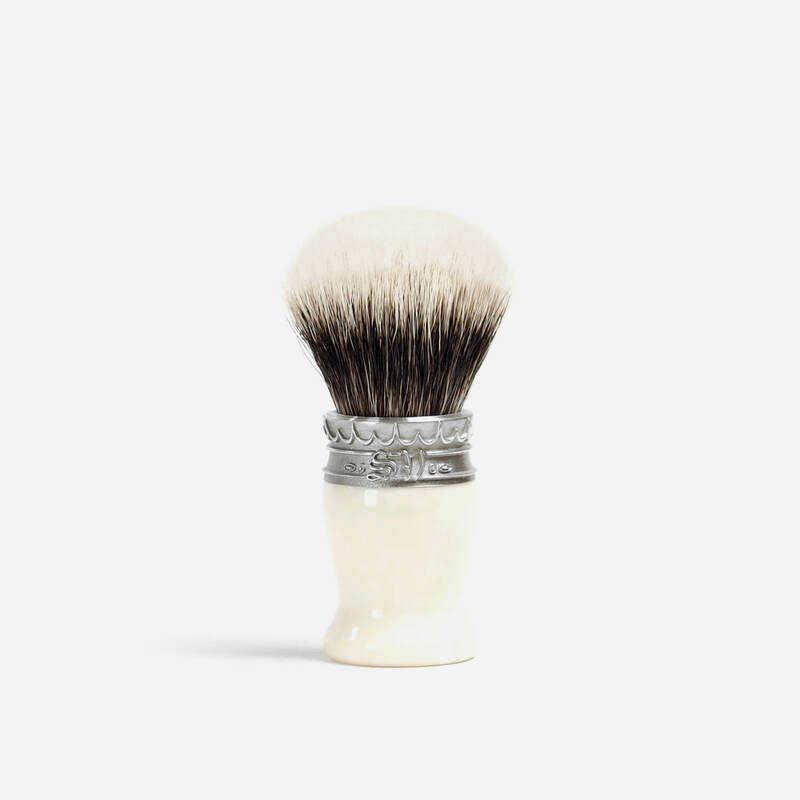 Handmade shaving brush filled with two-band white badger hair and featuring a faux ivory solid resin handle topped with a pure pewter crown ring. 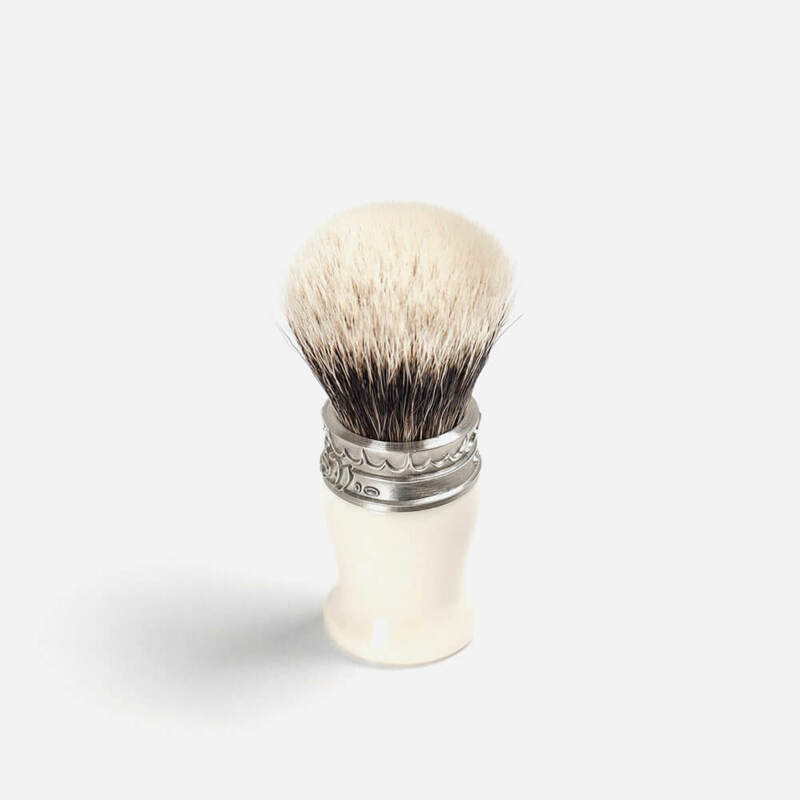 This Italian handmade shaving brush from Saponificio Varesino is filled with a large knot (26mm x 50mm) of two-band High Mountain White Badger hair housed in a faux ivory solid resin handle. The handle is topped with a handmade natural pewter crown featuring the “SV” (Saponificio Varesino) initials.